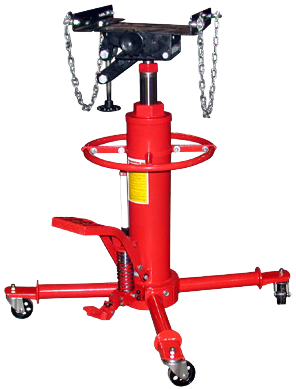 The T-1000 Economy Transmission Jack is the same jack used in many professional transmission shops throughout the United States. Take a look at the specs and compare our jack to any of our competitors’. For the money, you can’t beat the T-1000. LIFT HEIGHT - FULLY COVERED 33"
LIFT HEIGHT - 2nd STAGE 71.75"